Havards Blackmoor Blog: Did D&D Goliath's First Appear in BECMI D&D and Mystara? Good find! Completely agree. I wonder if the person who wrote Races of Stone subliminally created goliaths through osmosis having seen the original creature once perhaps without remembering the name "stalwart". 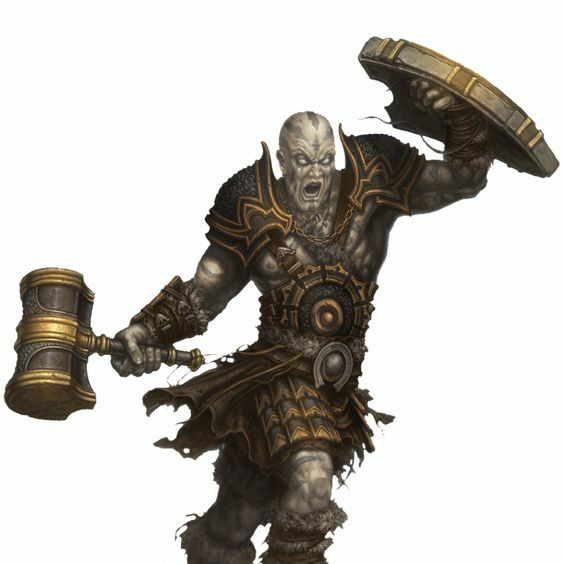 When trying fill niches in a fantasy world, the theme of earth is fairly generic and I'm sure a room full of writers would create the same goliath race though name it a hundred different ways. I think your theory of subliminally bringing in elements of the Stalwart into the Goliath race is not unreasonable. I suppose we could ask the author. There were a few new races in most of the Races books, but almost all of them filled a niche similar to some preexisting races. Raptorans from Races of the Wild remind me of Faenare (PC2) or Aaracockra for instance.